Frank Zito misses his mother, who was killed in a car accident years before. She was abusive to him and made money selling her body, but Frank still misses her. He tries to keep her from leaving him and reform her evil ways, by killing young women and putting their scalps on mannequins which he displays around his apartment. 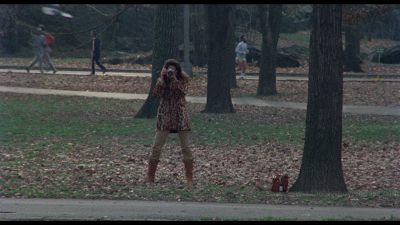 Photographer Anna D'Antoni takes a picture of him in the park, and he pursues and befriends her. Is she the one he has been looking for or just another mother wannabe? Bill Lustig’s Maniac is a tough film to sit through. The first half of the film is filled with “murder set pieces” that are not fun to watch. The main character, Frank Zito (Joe Spinell), kills many people in very gruesome and unsettling ways. 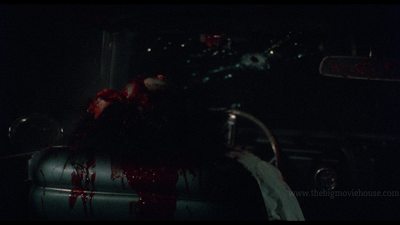 He strangles a prostitute, he stabs a nurse in one of the dirtiest bathrooms I have ever seen, and, I the most famous scene in the film, blows a man’s head off with a shotgun. 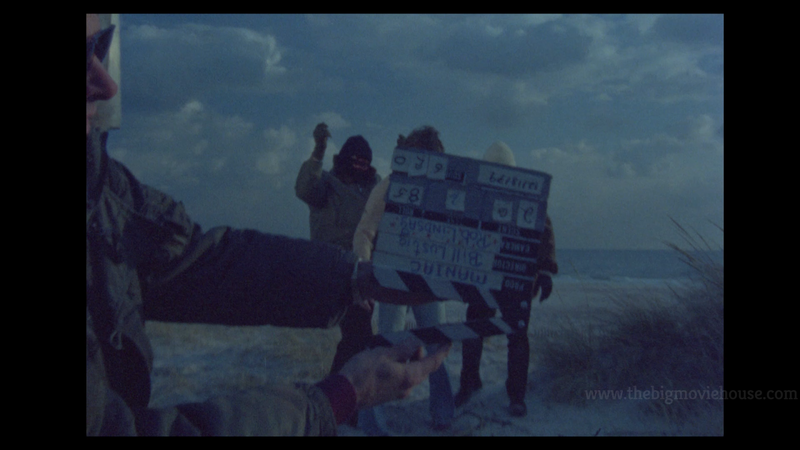 All of the scenes are shown in explicit detail and there is no flinching by Lustig. This is something that upset many film critics and caused protests around the country shaming the film and calling it filth. 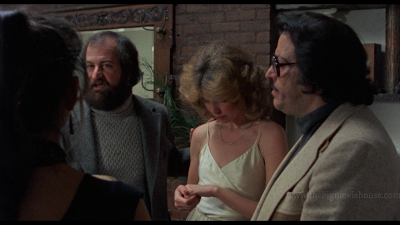 Gene Siskel, of Siskel and Ebert fame, is famous for saying that he walked out of the film right after the shotgun to the head scene because he felt that the film couldn’t redeem itself after that. He also said that this is one of two films he had ever walked out of. The other? 1996’s Black Sheep with Chris Farley and David Spade. I find it funny, that in sixteen years, Siskel walked out on a horror film and a comedy that are nothing alike. I always found Siskel to be a man who was easily angered by things that shouldn’t anger anyone. He and Ebert were famous for giving out the address of Betsy Palmer in their review of Friday the 13th because she should know better and for taking time out of their review for Silent Night, Deadly Night to shame the people involved with that film. In later years, Ebert would change his view a bit on horror films, but Siskel was a prude to the end. I always got the impression that Siskel didn’t belong in the film critic circle and was using the position to get to where he really wanted to be: a sports reporter. Anyways, why do I bring up this critics stuff? Because I honestly believe that if it were not for the protests and the critics shunning the film, Maniac would not be as fondly remembered as it is today. Sure, the film would have its fans, but it would be more of a cult classic than an outright classic. It would be a second or third tier slasher film, rather than its first-tier status. The controversy that surrounded the film actually helped get the word out that this was the film to see if you called yourself a horror fan. The film made a lot of money and it allowed its cast and crew the freedom to make other films. The critics wanted the film pulled from theaters and destroyed, but it persevered and became an outright classic of the genre. Maniac has a really creepy, dirty feel to it. Like The Texas Chain Saw Massacre, and so many other films before it, you really feel like you need to take a shower and then go for a walk after viewing the film. Frank Zito is a person you wouldn’t want to meet in a dark alley, let alone at all. If you did, you would remark how sweaty and disheveled he looked. He would be the guy you would point out on a plane as someone to look out for. So it comes as a surprise that he can actually clean up for nicely and woo women. He gets on the good side of the Caroline Munro character fairly easily and she is smitten by him. Some have commented that no woman on the face of the earth would be smitten by Zito especially someone like Munro. 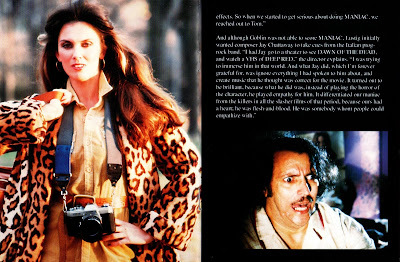 If you watch the special features, there are many times where people will mention how women would be enamored by Spinell. The man may have not been a looker, but he held a confidence that many women find attractive. 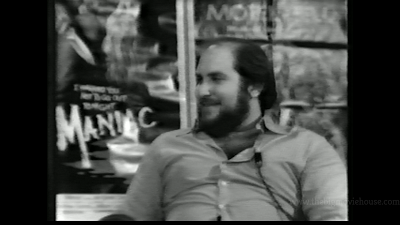 Spinell shows that same confidence in the scenes with Munro. That is why she is attracted to him. 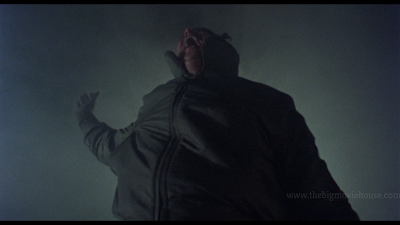 No review would be complete without talking about the effects by Tom Savini. These effects are just amazing with the standout being the shotgun to the head scene. 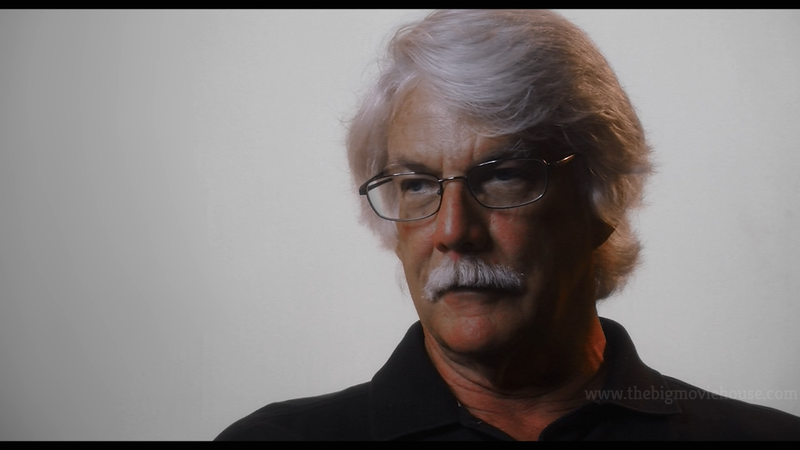 The head that Savini made is so real that you can’t even tell it is fake by slowing the film down. There is another effect that doesn’t get as much attention as it should and that is the head at the end of the film. Even though this head looks a little bit less real, the impact that it had on the scene isn’t lessened by it. 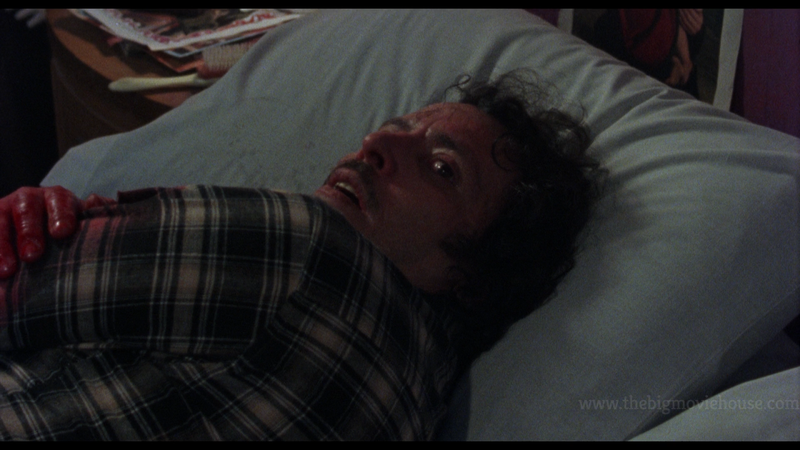 In fact, that scene is more stomach-churning than the shotgun to the head scene. 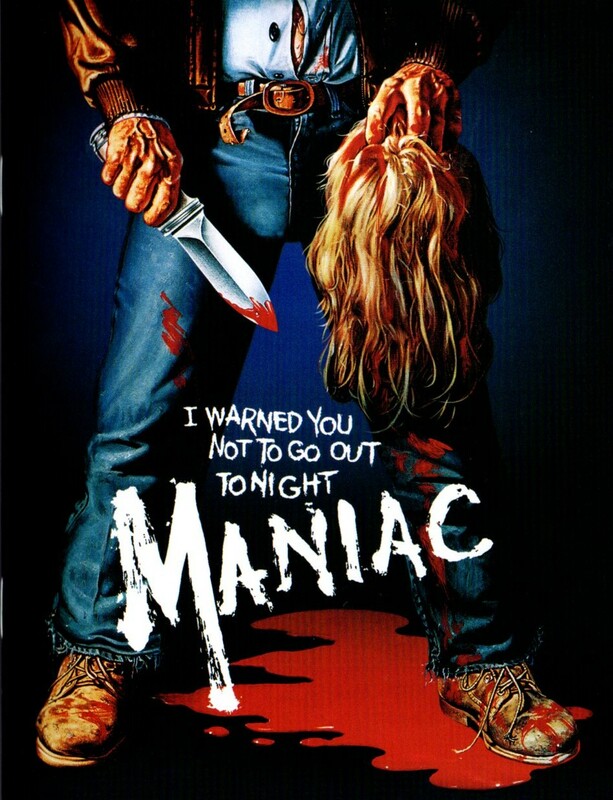 Even though Savini had made Dawn of the Dead and Friday the 13th before this, Maniac showed that Savini was a force to be reckoned with. I also want to mention the score by Jay Chattaway. While there are the typical horror stings in the score, there are a lot of tracks that are not typical of horror films. The theme for the film is a quiet piano piece that you would think belongs more in a drama than a horror film. There are other tracks like that as well and makes the score an easier listen than, say, a Friday the 13th. 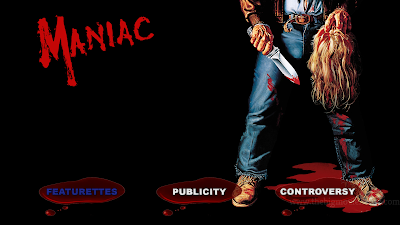 Maniac is a must see a horror film. The performances are really great, the direction from Bill Lustig is reserved and not showy, and the look of the film is downright sleazy. This really is a film that you have to watch to prove you are a horror fan. 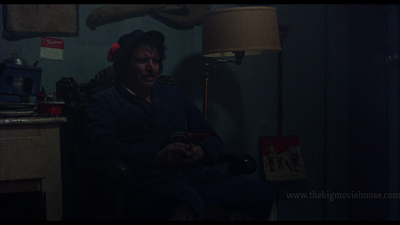 Don’t let the critics steer you wrong: Maniac is a masterpiece. 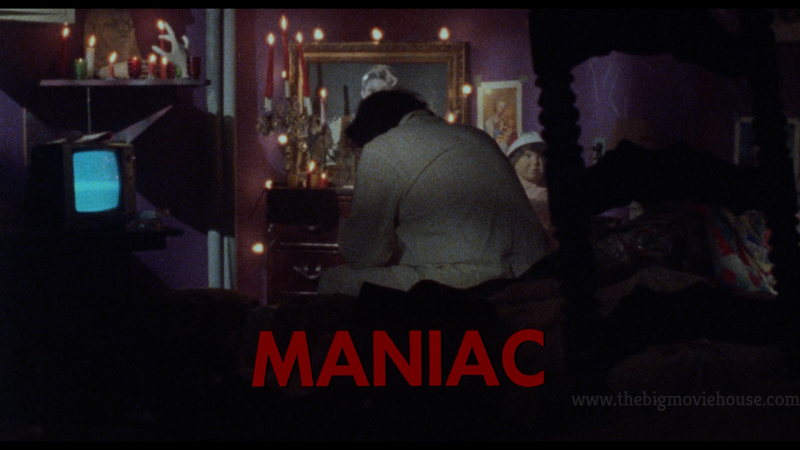 Presented in the film’s original aspect ratio of 1.85:1 and sporting a brand new 4K restoration, Maniac looks amazing. The film is a low budget affair so it isn’t the best looking film in the world, but that plays in the film’s favor. The grit and grime of New York City and its underbelly are preserved beautifully here. 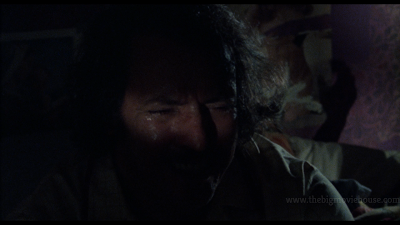 The green of the bathroom in the scene where Zito stalks the nurse is perfectly pukey in design. The nighttime shots are inky black and the blood really pops. There is a nice layer of grain that leads to some wonderful detail. 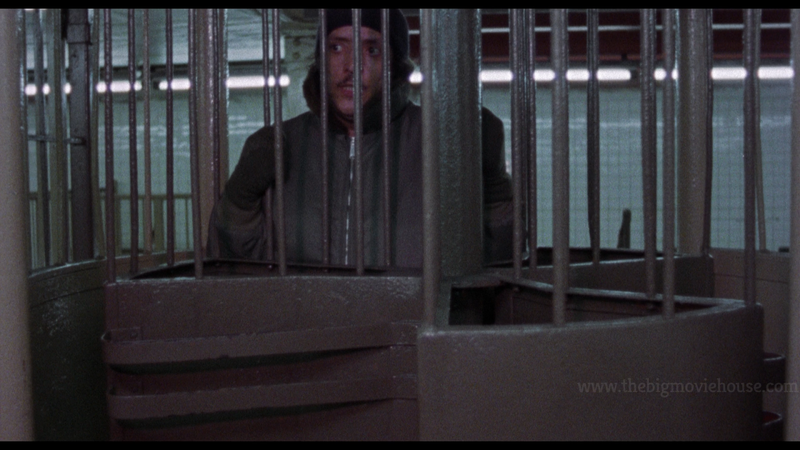 Blue Underground can’t be praised enough for the bringing this restoration to blu-ray as well as they did. The sound comes in a whole bunch of different vareities, but I took in the film’s English 2.0 DTS-HD MA track and the film sounds wonderful. The sound design, meant to disgust and repulse much of its audience is on full display here. The sounds of New York, the stabbings, and groans from the Maniac himself are captured so well here. The score, by Jay Chattaway, is a great score and it comes through loud and clear and the dialogue is crisp and clean. 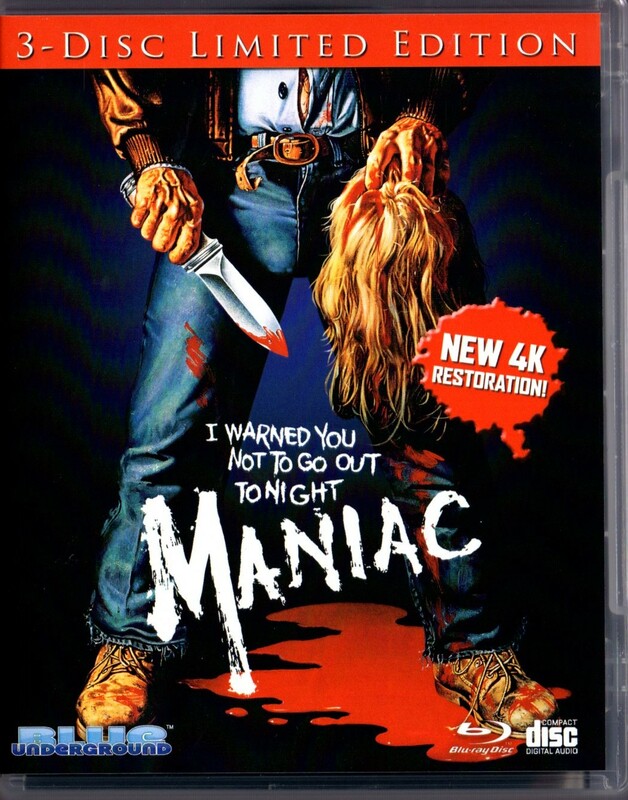 Maniac comes to us courtesy of Blue Underground in a beautiful package that will be finding its way to my end of the year list for sure. The slip comes with a lenticular front that makes the film’s original poster art pop off the package. The 3D effect here is really well done. The front cover of the case features the exact same artwork as the slipcover. The reverse art features artwork that I have never seen before and is ok. I can see why something like wasn’t used here in the States when they have the wonderfully iconic artwork used on the main cover. A sixteen-page booklet is included that features a brand new essay from writer Michael Gingold as well as chapter selections for the film and the included CD soundtrack. There are 3 discs for this release. Disc #1 is the film and features the main artwork as its disc art. Disc #2 is the special features disc and features the reverse poster art as its artwork. 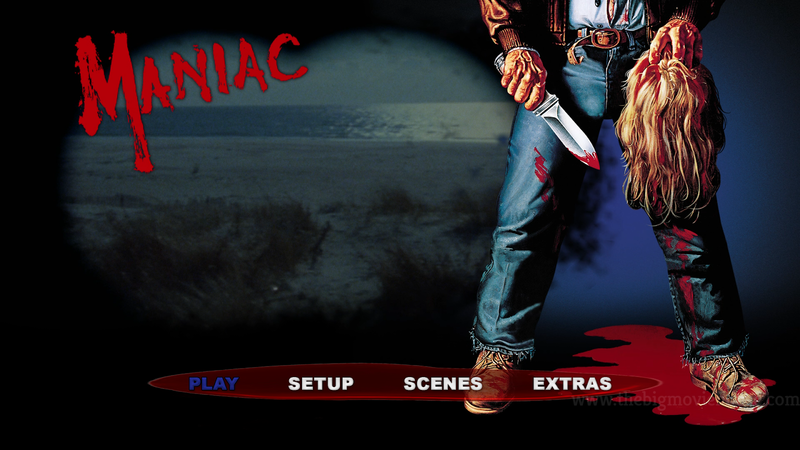 The third disc is the film’s score and features the face of the maniac himself as its disc art. The two blu-ray discs are REGION FREE. 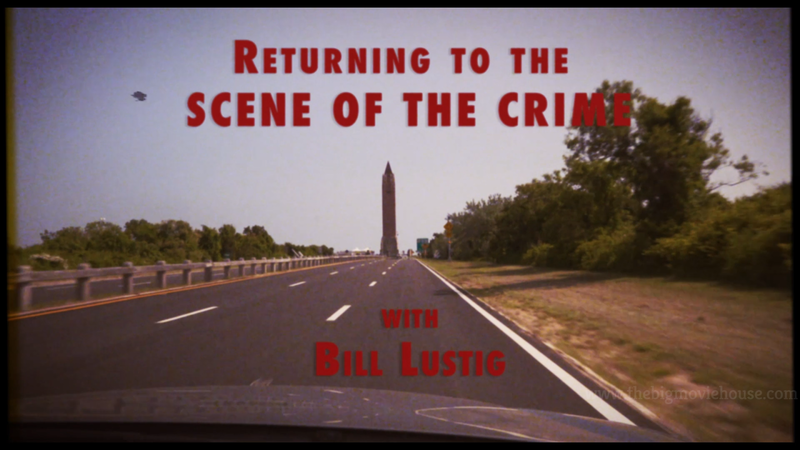 tour of the locations used in the film. As you can tell, there is a lot of features to go through here and they are all worth the time. 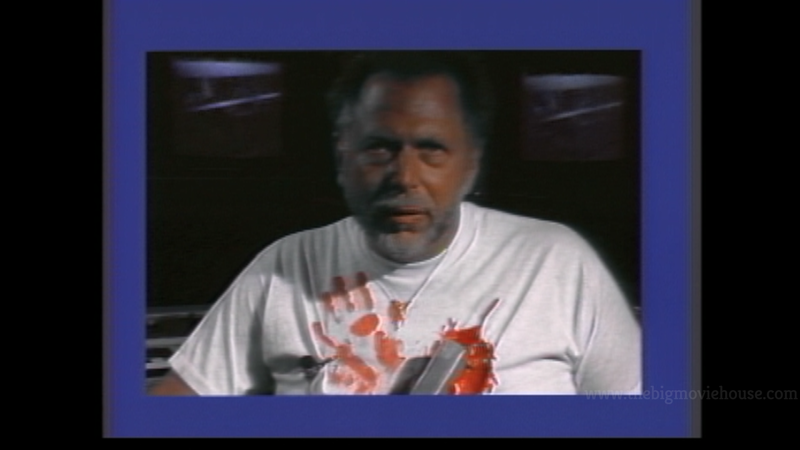 The two commentaries are wonderful with tons of stories both about the film and about Spinell. The trailers are interesting as you can see how the film was advertised all over the world. 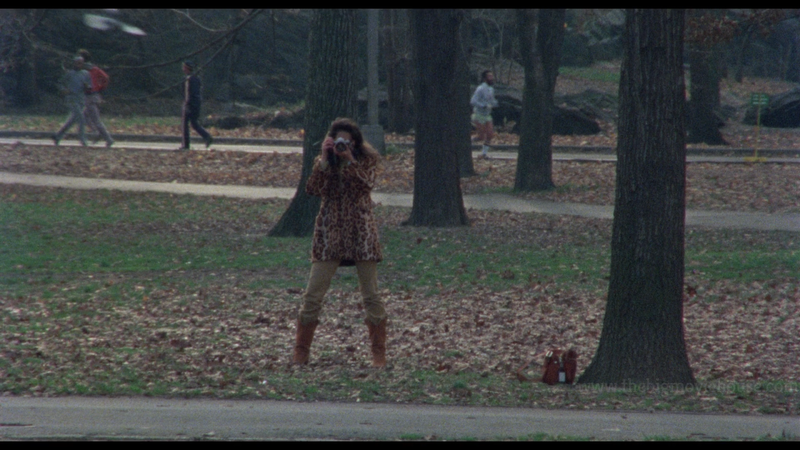 The outtakes and location tour are both new to this set and offer a look at the making of the film and a look at how different New York City is today. The interviews are wonderful especially the one with composer Joy Chattaway as he gives a lot of insight into the score and his thought process. The news pieces are all very funny as people all lost their minds over this film. 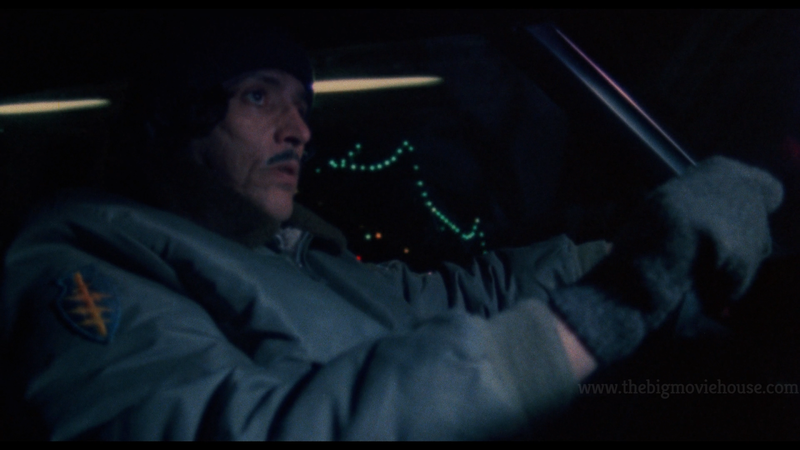 The standout feature is The Joe Spinell Story, an almost feature-length doc about Spinell, his work in film, and the kind of person he was (turns out he was one of the nicest people you would ever want to meet). This feature is both happy and sad and is worth a look just to get to know one of the best unknown actors. 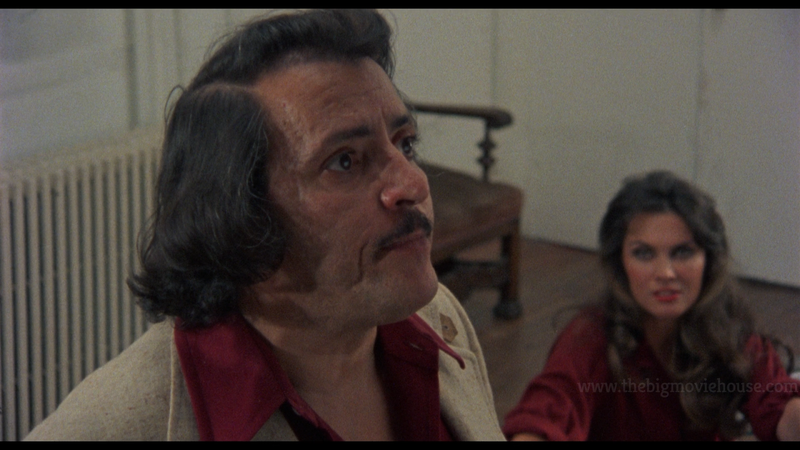 Maniac is a dirty, sleazy, disgusting film that I adore. The film is really well made, the acting (especially from Spinell) is great, and the effects all make for a film you won’t soon forget. The film is a bit hard to watch, but if you can make it through it then you will have seen something that we haven’t seen since. The blu-ray, from Blue Underground, is one of the best of 2018. From the beautiful picture and sound to the overflowing bounty of special features, there is not one bad thing I can say about this release. It is a truly special thing and belongs in any horror fan’s collection.